December was a crazy month – it always is during the run up to the holidays, trying to prepare at home, and preemptively get everything done at work. Like I mentioned in the run-up to Christmas though, I had plans, and some of them have come to fruition. 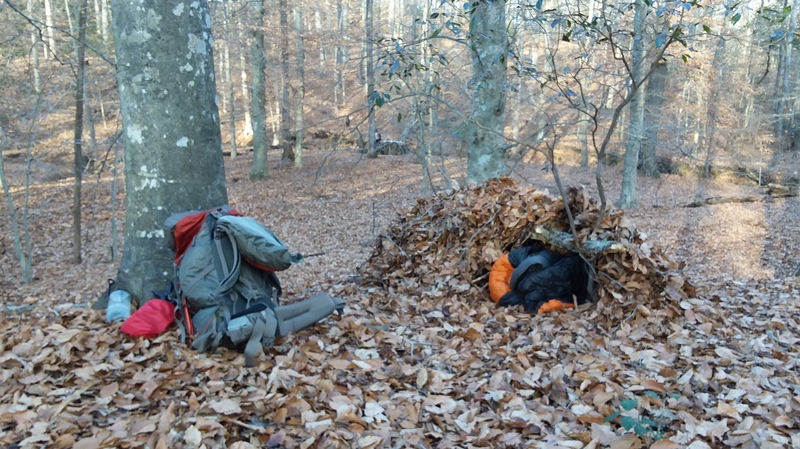 In mid-December, I was able to complete a trip focused on practicing some Wilderness Survival skills and techniques, including improvised shelters. 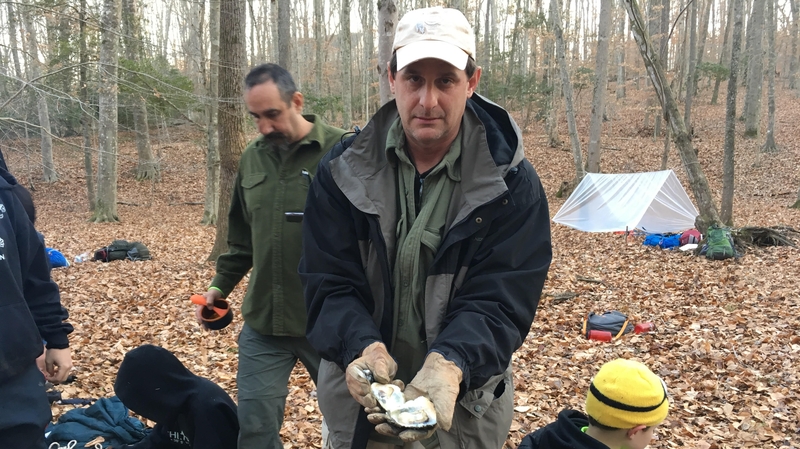 We had 14 of us out there, working on water purification techniques, a little orienteering (we had to find the food that was “airdropped” to us! ), and building fires without matches. 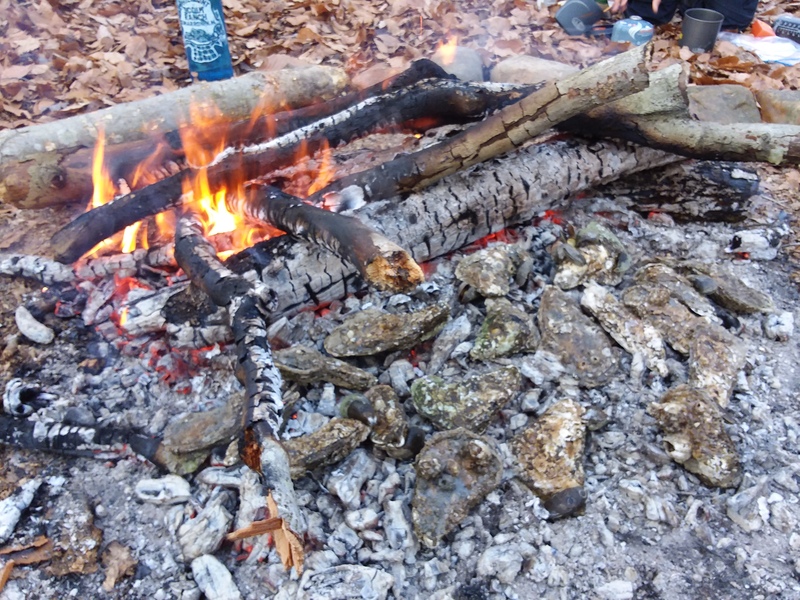 In the spirit of eating wild, foraged food, we enjoyed a few oysters on the campfire too! The real focus, though, was shelter – and in winter temperatures, shelter was pretty important. It only got down to 28 degF (-2.2 degC), but that counts! So, just like a little kid, I got a bona-fide excuse to build a “fort” with sticks and leaves in the woods, AND spend the night in it! There are some good techniques to building a debris shelter. That’s what it’s actually called. 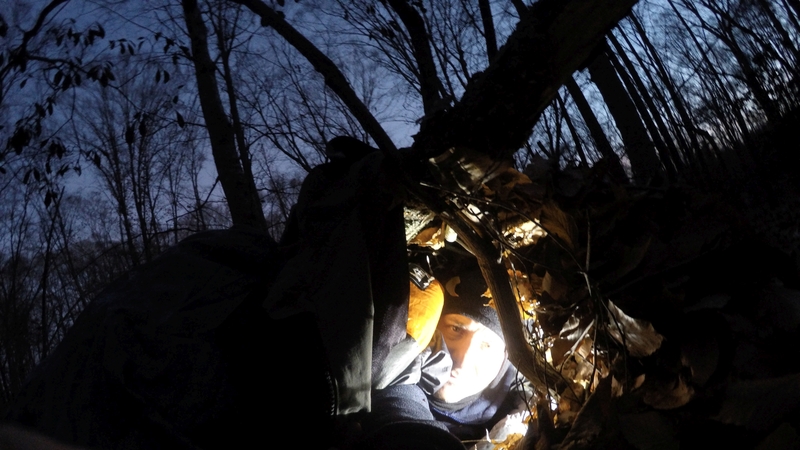 It sounds like a pile of trash, but it’s a shelter made from downed trees, limbs, sticks, leaf litter – whatever you can find – without any permanent construction. 1) Minimize the work, find some dense wood/brush, use (sturdy) downed trees – anything that will provide shelter and ready-made structure. I once had a shelter in 5 minutes, just burrowing into the branches of a large downed beech tree that still had its leaves. Look for something you can improve, rather than build completely from scratch. 2) Pick a good site – out of the wind, providing some natural shelter, and stay above the low spots, particularly in the cold. Cold air will settle into the valleys overnight and it can be a few degrees warmer just a little higher (like I was here). 4) Keep it small – just like heating your house in winter, bigger isn’t better if you’re trying to stay comfortable with a limited furnace (your body). This little shelter was snug, but that’s what you need! If you have a buddy, you’ve got twice as big a furnace – resist the urge to make your shelter too roomy. If you’ve found or made a good ridgepole, make sure it’s high enough, but not TOO high, then stack branches along the sides to provide a net to catch the leaf blanket you’ll pile on top. Seal all the entrances – I pulled my backpack and my winter coat over the entrance hole to completely seal myself in for the night. It was dark, but warm!! 5) Use a moisture barrier underneath your sleeping gear. I used a sleeping bag, but no ground pad. Contrary to popular belief, the pad is not there to serve as a mattress. Its primary function is to insulate you against the ground – hence the need for as many leaves, and air pockets, as possible. All that said – lay down a garbage bag or some other barrier, if you can, between your bag and the leaves, to avoid sucking up any moisture. If you get any wetness in this setup at all, you’re going to be worse off. With this setup, I stayed nice and warm, and didn’t even realize it had dropped below freezing. In this instance, we did it for fun – but if you spend time outdoors, its a good skill to know, and practicing really is a great time. Yeah isn’t that ironic? We also pulled them out of the (frozen over) water that morning, and kept them in a brackish creek until an hour before dinner – that part was definitely less glamorous than cooking them up and eating them! Thanks, fun to practice too. I also like building quinzees/snow caves – but it’s rare that we get enough snow around these parts to do that. Looks like you guys had great weather to practice your wilderness survival skills. It didn’t rain (or snow)! 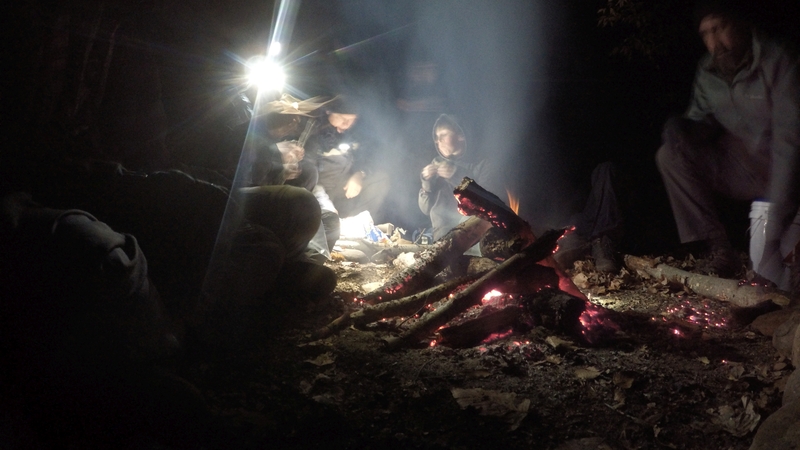 And I imagine one of the real advantages of camping outdoors in the winter is that there are significantly fewer bugs and creepy crawlers. Congrats on making it through the night. P.S I really enjoyed watching the video you posted about the experience!